Russian trace is suspected behind the attack on the Polish consulate in Lutsk. 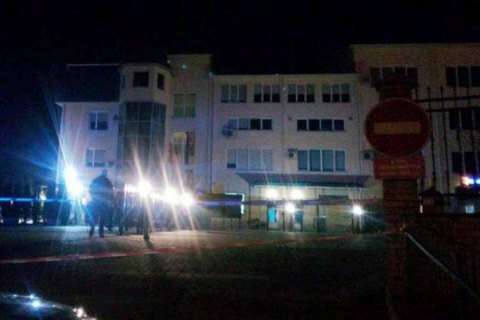 The Security Service of Ukraine commented on 29 March on the shelling of the building of the Consulate General of Poland in Lutsk and does not exclude that it could be a provocation orchestrated by the Russian Federation. "According to preliminary information, the assailants used the RPG-26 grenade launcher. The explosion entailed no casualties. Investigative and operational groups of the Security Service and the police are working in the field. The investigation is considering several versions of the incident, including the terrorist act," the SBU said in a statement on 29 March. The SBU pledged to exert every effort to establish and detain the guilty as soon as possible. The head of the SBU Vasyl Gritsak informed the Ambassador of Poland in Ukraine Jan Peklo about the measures taken to solve the crime. The Polish Foreign Ministry, in connection with the incident, summoned the Ukrainian ambassador, Andriy Deshchytsya, and said it intended to send a note of protest to the Ukrainian foreign ministry. Earlier, Ambassador Jan Peklo said that Russia wants to drive a wedge between Poland and Ukraine.